To gamers, the Medal of Honor name is usually synonymous with the World War II era. That era has sadly been visited ad nauseam by games spanning a number of genres, from shooters to strategy. EA recognized this and has brought about rebooting the series by bringing it to the modern age. 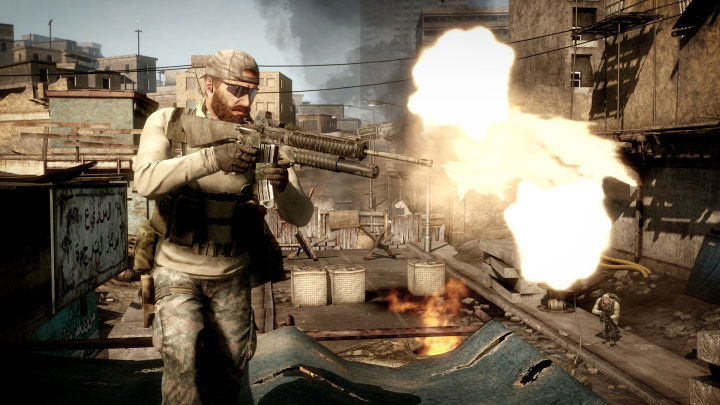 Two developers worked on Medal of Honor: Danger Close (which includes members who worked on the first Medal of Honor) handled the single-player portion, while DICE (of the Battlefield series) brought the multiplayer. The final product ends up missing the mark, which means players are left with an underwhelming campaign and a weak multiplayer component. Medal of Honor places you in the combat boots of three soldiers: two Tier 1 operatives and a Ranger, all of whom are deployed into the Middle East theatre. A Tier 1 operative is a specially trained soldier who’s dug in deep behind enemy lines and gathers Intel for the higher-ups; they\'re also very fond of growing thick beards to blend in with the locals. During the campaign you’ll see a mix of stealth segments, on-rail shooter moments, defending a position from waves of Taliban, sniping across a mountain range, calling in artillery, airstrikes and more. Danger Close marketed the game as a more authentic experience, and it really shows as you play the campaign. Being a first person shooter, the controls handle well enough, and the weapons are easy to use. The only real problem I had when playing was that the AI wasn’t exactly smart, nor was the action that engaging. The small battles felt more like target practice, because enemies mostly rush towards your position and offer little challenge. The small amount of health you do have makes you feel more like a soldier than some unstoppable force, as in other games. Though a lot of the elements that bring the game together have been seen before, Medal of Honor keeps the experience cohesive and grounded in reality. Danger Close added the ability to lean from cover or slide after sprinting which feels and looks cool. When playing, it adds certain intensity when scrambling for cover in a firefight or knifing an enemy. Another neat addition is being able to keep a round in the chamber when you reload. It’s a small bonus, but the sliding and extra round was not added to the multiplayer, something that I feel would have been a benefit to the gameplay to help it stand out more. There is also a campaign mode in which you\'ll race the clock to rack up kills and complete the level for leaderboards if you\'re into that kind of thing. While this all sounds fine on paper, the game has numerous technical issues that make the game feel more artificial than authentic. The game is heavily scripted, so much so that your squad may stop at one location and won’t respond until you reach a certain point. In one instance, I had to run around an area to find the sweet spot the developers wanted me to walk in to continue the scene. I also saw allies snapping several feet into their next animation, audio cues not triggering, or getting stuck on terrain when driving an ATV. One mission asked me to kick in a door, but I got stuck on a friendly waiting by the door. When I pressed F to kick the door, I ghosted through the wall with the door on my left bursting open. Another asked me to focus on an enemy lookout, so I waited for about a minute just staring at him until I decided to shoot him, after which the squad continued. Lack of direction and unclear orders hamper gameplay, meaning a lot of wandering around and guesswork. And don\'t get me started on how many invisible walls there are. When playing, it’s very hard to try to get into the groove of things when these issues constantly pop up time and time again. What’s worse is that the campaign is only four to five hours long and offers little challenge. I had to switch the difficulty to hard which, oddly enough, was still too easy. Don’t get me wrong though, when looking past these problems, I enjoyed the campaign plenty. It had several cool set-piece moments and fun gadgets to play around with. The final fourth of the game did drag on a bit longer than I would’ve liked, and I was ultimately left feeling underwhelmed as the credits rolled. Those who could care less about singleplayer and just want to hop online and shoot players will find a relatively familiar experience compared to what’s out on the market already. Battlefield developer DICE bring four modes to the fray, including Team Deathmatch, Control Points, Attack and Defend, and a mode with progressive objectives similar to Bad Company 2’s Rush mode. There are three class loadouts to choose from: Snipers have C4 and long-range rifles, Spec Ops can use shotguns and rocket launchers, and Riflemen carry standard assault rifles and smoke grenades. As you level up, you can equip different weapon attachments or use new unlocked weapons. There are also a handful of maps including a market, an airfield, a downtown urban zone, and a well-guarded mansion. As you kill enemy players and take objectives, you\'ll be rewarded points which can go towards calling in offensive abilities (mortars, missile strikes, etc.) or defensive abilities that benefit your entire team (flak vests, refilling ammo, motion tracker). So how could this go wrong? The main problem is that the experience is hampered by poor design choices and broken gameplay. The max level for each of the three classes is 15, with unlocks offering very little incentive as well; one example is being able to use a reskinned enemy version of a weapon you already have. Oh boy, how lavish of you, DICE. Maps are fairly one-sided, so those playing as snipers can dominate most modes due to the limited number of choke points and long halls. Spawn points do nothing to alleviate spawn camping, and the lack of a kill-cam (which has been a norm in this genre for the last few years) is oddly omitted here. Expect to die every few seconds from a random direction, wait five seconds to respawn, and die again from the same player as you head out again. And when this doesn’t happen you’ll see sloppy hit detection, buggy server lists, and animation glitches. Medal of Honor tries to cater to fans of Bad Company 2 and Call of Duty without being able to deliver the goods, ending up with a forgettable experience that’s neither that exciting nor long-lasting. Other than defensive score chains, there\'s nothing that sets this apart from its competitors. While major balance tweaks or new maps would help, the online function as it stands currently isn’t worth your time nor patience when other FPSs offer a lot more value. Ultimately, multiplayer is undercooked and uninspired. Though the title is quite a downer, I do need to mention the audio. Danger Close and DICE did a stellar job on sound effects, music, and voice acting. Weapons have a very nice punch, explosions are both beefy and loud, and voice acting - while a bit too heavy with military jargon - fits the soldiers and squads you fight with well. Music and audio cues arrive at just the right time, bringing a certain weight and impact as you play. To a lesser degree, graphics are competent and have some worthy moments. Multiplayer looks great when on max settings; singleplayer does as well, but only at certain points. There are some rough edges where texture pop-in and clipping occur. With war and the life of a soldier being a huge focus of the game, one can expect to hear the language found in that element. Roughly a dozen F-bombs are dropped and the word “s—t” is said a lot more, more so at the back end of the campaign. Blaspheming occasionally showed up, but it wasn’t that noticeable when playing. Multiplayer lacks voice-chat on the PC version (so no worries there), but the dialogue does have much heavier swearing. As for violence, enemies go down with some blood spatter and knives are used for short-range kills and silencing guards. Explosions do cause some limb loss (as do shotgun blasts) but those were few and far between. Otherwise, the violence is fairly tame considering the subject matter. 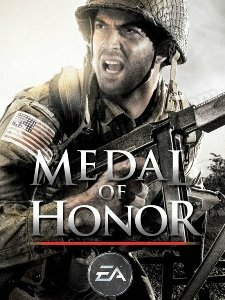 With a watered down online component that comes off as lazy and a rather ho-hum campaign, Medal of Honor is not the blockbuster title I was hoping it would be. There were moments when Medal of Honor was beginning to surprise me, but then bugs reared their ugly heads and abruptly brought me out of the experience. Danger Close is on to something here, and I hope they do take a lot of the criticism to heart so the sequel would be a homerun. But for now, I cannot really recommend the game unless you give a console rental a shot to see the campaign. There’s nothing here that’s really worth the frustration and disappointment, especially not at a $60 price tag.